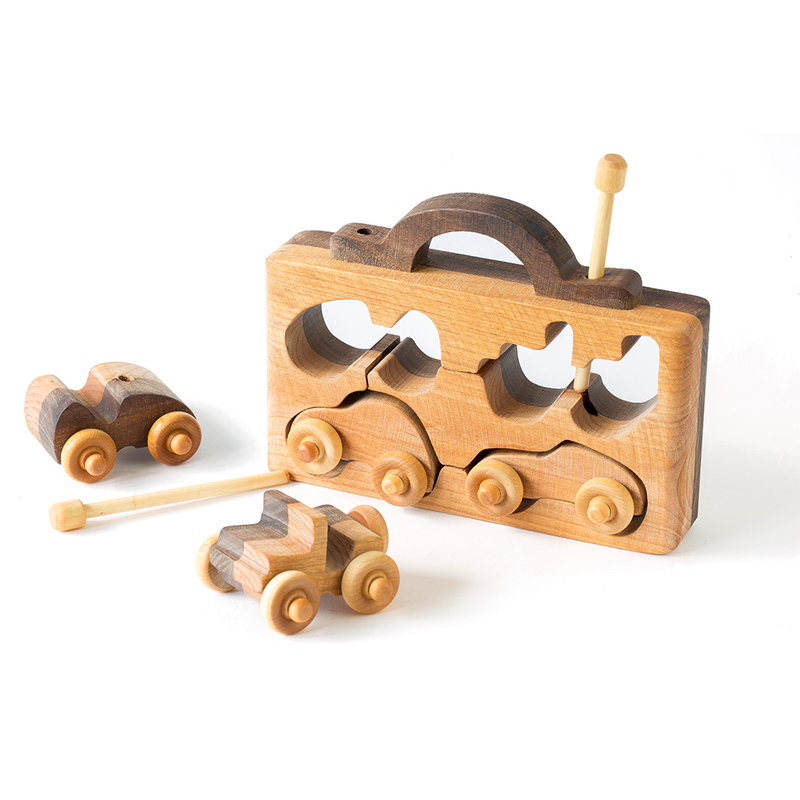 This “ready to go” toy is made from domestic walnut and maple. Pull the wooden pins and the cars and trucks are ready to play with. 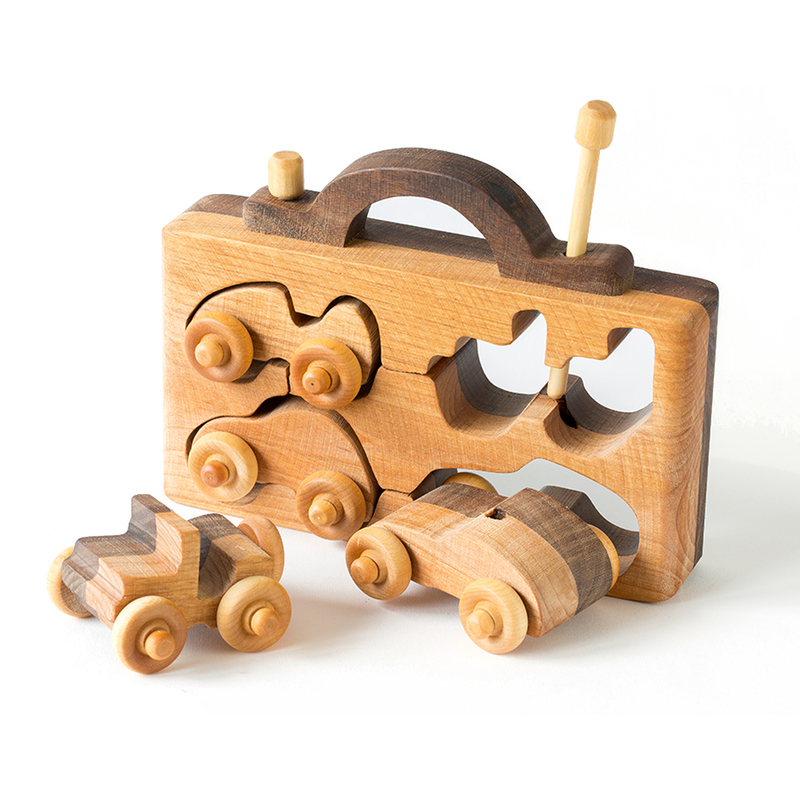 Natural oil finish. Includes four cars and a carrying case. Pull pins to release the cars from the case. Walnut on one side, cherry on the other.